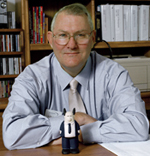 It has been a while since I last blogged (5 months)…but for a retired person, I have been pretty busy, teaching 6 courses over those five months…including four graduate courses during the fall. Not planning to do that again for a while! Fun engaging with Masters students at Northeastern and doctoral students at Creighton, but time consuming as well. 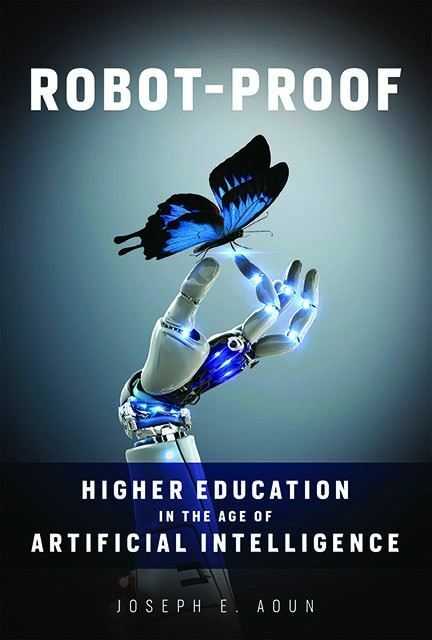 I wrapped up those four courses Monday, and last night, finished the book I have been reading the past couple of weeks – Robot-Proof: Higher Education in the Age of Artificial Intelligence, by Joseph Aoun (2017), the President of Northeastern University where I do adjunct teaching. This was the perfect book to set the stage for the two courses I will be teaching come January – Northeastern’s EDU6323 – Technology as a Medium for Learning, and Creighton’s ILD-831 – Technology and Leadership. President Aoun challenges higher education to stop educating students for jobs that are about to disappear, and instead focus on education that liberates students and gives them ownership of their own futures…one engaged in continual re-skilling and lifelong learning. Sara Shay did a nice job reviewing this book in Technology Review. She noted that the book recommends that institutions of higher education augment their current offerings with three new components. The first is integrates the humanities with technical fields to develop three new literacies – technical literacy, data literacy, and human literacy. The second involves experiential learning – a strength at Northeastern – while the third involves developing opportunities for lifelong learning. Aoun’s concept of new literacies really resonated with me. The combination of technical knowledge, facility with data, and an understanding of what makes us human (which robots will not replace) is powerful. As noted in such recent books as Martin Ford’s Rise of the Robots, Tom Friedman’s Thank You for Being Late, and Kevin Kelly’s The Inevitable, artificial intelligence is well on the way to making many current jobs obsolete. Aoun suggested that these new literacies help students focus their efforts on creativity rather than on the skills that are rapidly becoming out-dated. Aoun adds that in addition to these new literacies, higher education needs to also focus on higher-order mental skills, such as systems thinking, critical thinking, entrepreneurship, and cultural agility. These tie nicely into ILD-831. In this interdisciplinary doctoral course, we explore leading in a network-rich world where all employees have access to the sum total of all human knowledge. For the first time, I will be using Kevin Kelly’s book of the 12 technological forces shaping our future as the course textbook. Aoun noted that as our world continues to become more complex, our only hope for humans lies in the facility of work that is equally complex…and that requires networks. Or to riff off of David Weinberger, it has gotten Too Big To Know. Aoun noted that if our goal is to train the next generation to work in a technology-infused world, then universities will have to adapt as well. 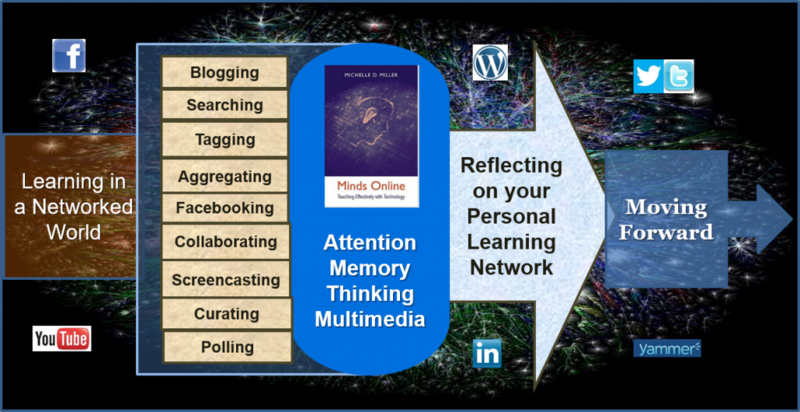 This aligns with EDU-6323, in which we explore digital technology through the lens of Michelle Miller’s book, Minds Online. Miller brings in recent discoveries in neuroscience and cognitive psychology to show how attention, memory, critical thinking, and analytical reasoning can be enhanced through technology-aided approaches. These are precisely the higher-order mental skills Aoun stresses as necessary for a robot-proof future. Aoun noted that critical thinking “…will therefore remain a cornerstone of human work in the digital age” (p. 42). Steve Wheeler has had a couple of posts recently such as this one on teaching UnGoogleable questions. We need to see more of us moving in that direction! Aoun’s book goes well beyond my courses by tying learning in courses to experiential opportunities, as well as time-phased re-tooling through lifelong opportunities. As a faculty developer, it was also interesting to see that he focused on re-tooling faculty throughout their careers. This continual re-tooling – of both students and faculty – was seen as a necessity to alleviating social inequality – a message we need to send to Washington as well! “Learning is now an ongoing voyage with many ports of call but never a terminus” (pp. 148-149). That brings to mind John Shedd’s old quote that “A ship in harbor is safe, but that is not what ships are built for.” Heeding President Aoun’s message, it is time for the ships of higher education to leave their protected harbors of past legacies and embark on the uncharted waters of the future. Heeding President Aoun’s message, it is time for the ships of higher education to leave their protected harbors of past legacies and embark on the uncharted waters of the future. But when a ship leaves port it’s crew moves and breathes using legacy systems. So our legacy culture and knowledge base can’t be left behind. In fact, that is exactly the comment Aoun made – build off of the legacy base.